While my family was shopping (and ironically considering one of those fancy “treat puzzles” for me) …. I was making up my own games and having yummy treats anyways! 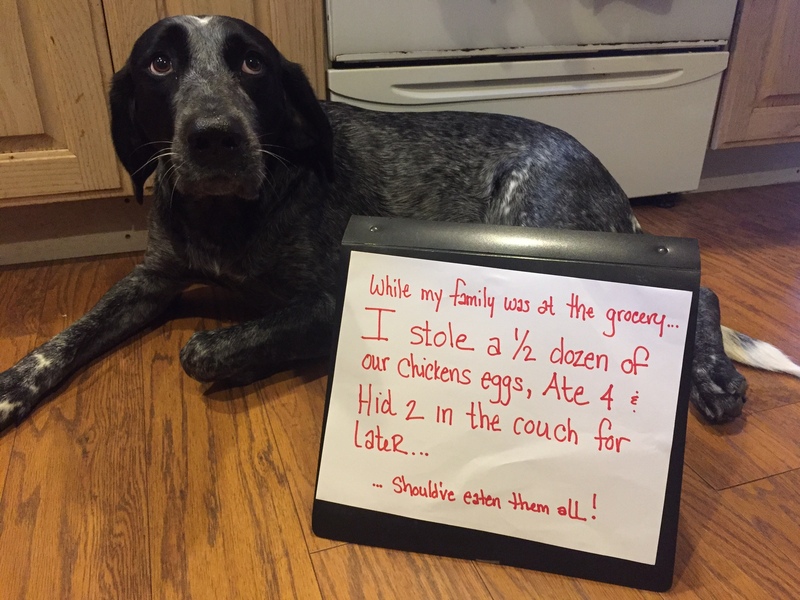 The post There’s no Such Thing as a Bad Egg appeared first on Dogshaming. 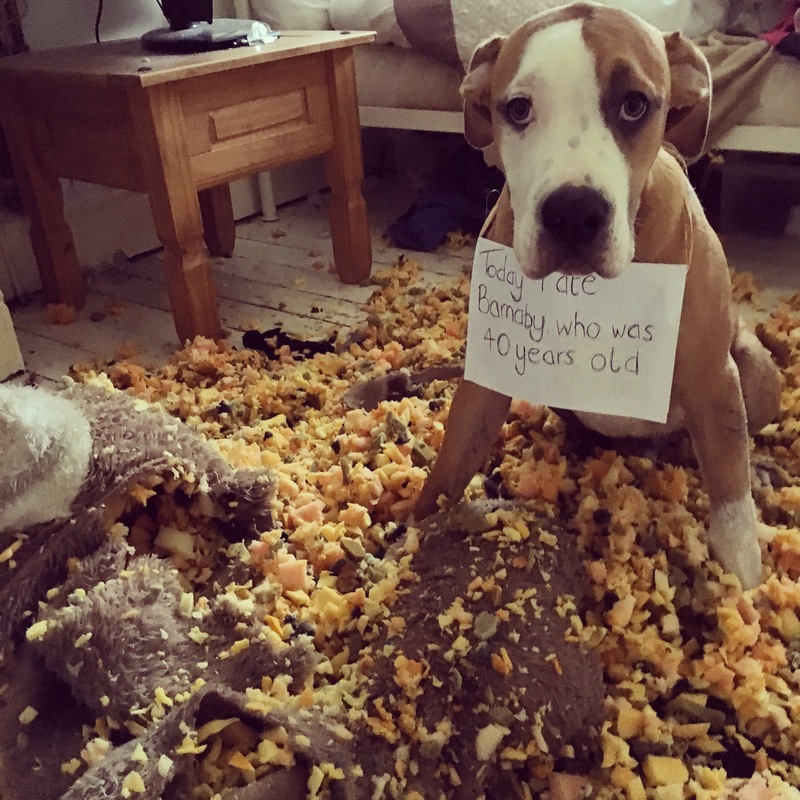 The post Bruce Beats Barnaby Bear appeared first on Dogshaming. My name is Freya. I ate 6 rolls of toilet paper while Mommy & Jerry were out. 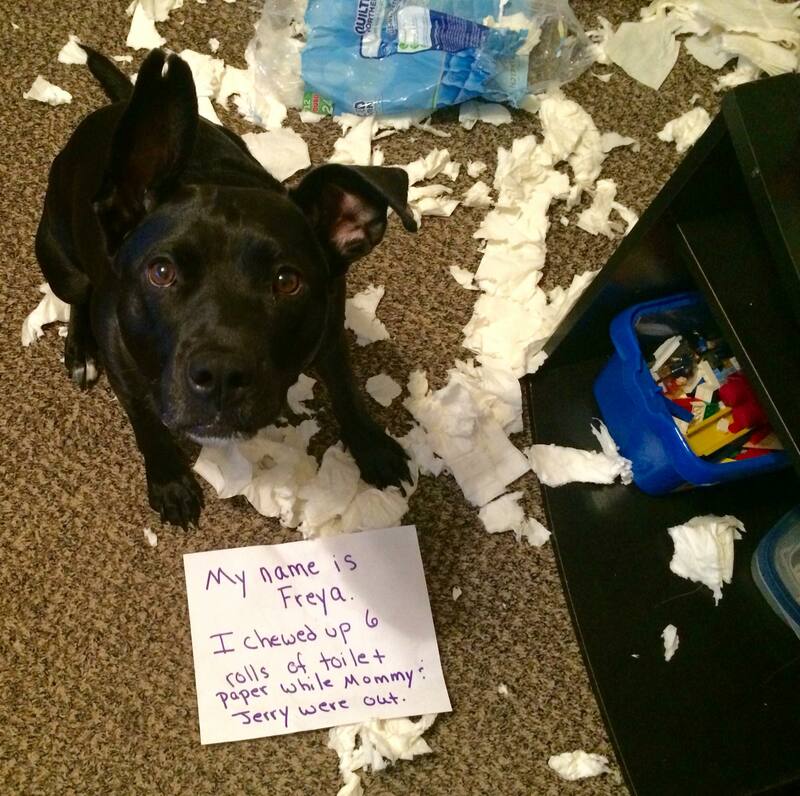 The post Queen of TP appeared first on Dogshaming. 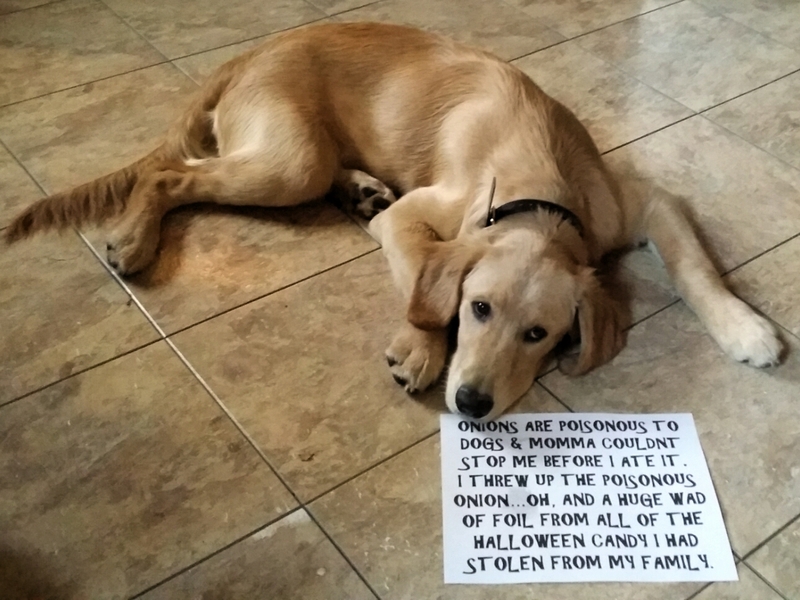 The post Boomer’s Secret Stash appeared first on Dogshaming.